If you judge these things by sales figures, for the last few years there has been an undisputed king of the gaming world, the Call of Duty series. Each new annual release frequently makes well over a billion dollars, a figure that only a few years ago we would only joking suggest that a game’s sales totals would reach. Yet Call of Duty continues to break its own records, again and again. The newest member of the Call of Duty family, and this year’s offering, is no exception. Call of Duty: Black Ops 2 raced through the billion dollar mark, and continues to have a massive online presence all around the world. That isn’t likely to change any time soon, which means that Black Ops 2 will remain in heavy rotation for several months still, and with the many upcoming DLCs offerings on the way, there is little chance of it growing dull. So for those looking for a game this Christmas (or shortly after), we are happy to offer you a shot at taking home the biggest game of the year. 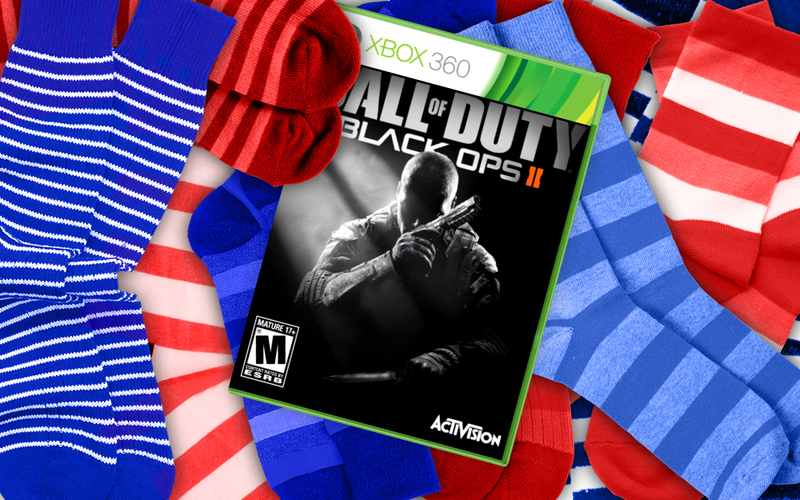 Check out our full review of Call of Duty: Black Ops 2 for more details. Here’s all you have to do to win: post a comment below letting us know what game coming out next year has you most excited. Once you comment, you are set. The contest will run from now through Monday, Christmas Eve. This offer is open only to North American residents, and it is specifically for the Xbox 360. Good luck to everyone, and from all of us at Digital Trends, Happy Holidays to one and all! Congratulations to our winner, Sandy Bruce!